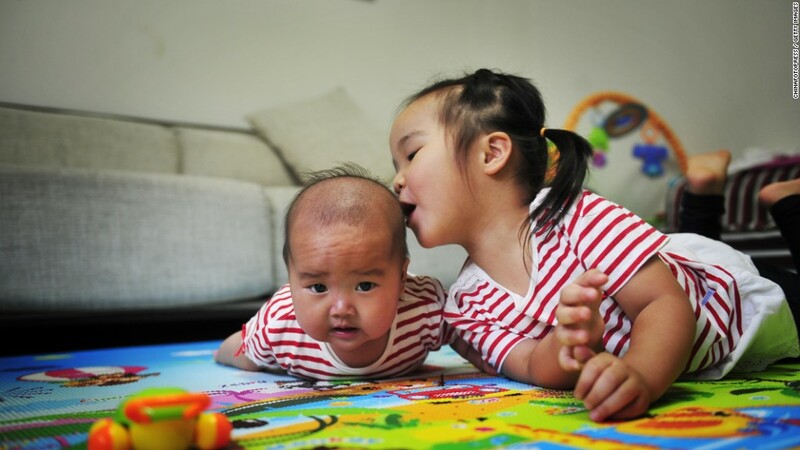 China has abolished its "one-child" policy, allowing all couples to have two kids, but the change won't help its faltering economy any time soon. That's because any baby boom the change may spark will take decades to boost the workforce, and many Chinese couples may choose -- like their Western counterparts -- to stick with one child. The family planning policy was first enacted in the late 1970s to combat concerns about whether the economy could support a rapidly growing population. In recent years, Beijing has slowly relaxed the restrictions in response to a shrinking labor force -- exacerbated by low birth rates and a rapidly aging population. China's working age population, aged 15 to 59, could fall by around 7% from 2010 to 2030, according to the United Nations. By doing away with the one-child policy entirely, policymakers are likely hoping a population boost might aid the economy. China is now posting its worst economic growth since the financial crisis, and stock market turmoil has unsettled investors. But some experts say abandoning the one-child policy now might be too little, too late. "The abolition of the one-child policy is unlikely to have a big near term impact on the economy," said Chang Liu of Capital Economics. "This move is targeted at longer term demographic shifts in China." First, it will take years before babies born as a result of the policy change are old enough to join the workforce. And many couples may not even want to have more children as they choose to spend rising wealth on a better standard of living. Other lifestyle concerns, such as heavy pollution, and political uncertainty may also act as a deterrent to having more kids. "Even over the longer term, the effect of the move may be much smaller than many expect. In general, people tend to have fewer children as their incomes rise," Liu said. Nearly 50% of urban Chinese residents want no more than one child, according to a survey cited by Capital Economics. Plus, China's hospital and medical systems aren't equipped to handle a baby boom. Beijing's maternity wards are already overbooked into the first half of 2016, as a result of the partial relaxation of family planning policies in early 2014, according to IHS Global Insight.